This trailer was first attached to "Harry Potter and the Deathly Hallows: Part Two" but thankfully after a full weekend in theaters it has made its way on to the net for us to enjoy repeatedly. The trailer itself doesn't give us too much from the new film, by every definition this is a teaser. It does a solid job of tying the previous two films together while also incorporating a slim amount of what we have in store including a couple glimpses of Bane being played by Tom Hardy. As a big time Bats reader and a superfan of Nolan's universe I cannot wait till next year when we get to sit down in theaters and experience "The Dark Knight Rises" in its entirety. Until then, I can just re-watch that tiny clip of Batman bobbing and weaving away from Bane. As far as the poster is concerned I like the look of it. 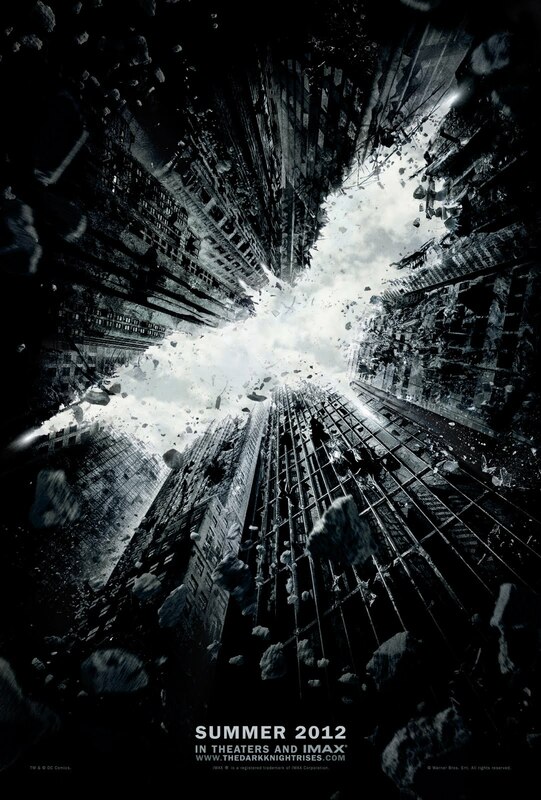 It matches the previous "Batman Begins" poster really well too. When the poster released last week there was a ton of scuttle from fans saying it called to the buildings in Nolan's "Inception" but if those people actually did a little leg work before running their mouths they'd realize this poster calls far more to Nolan's Batman universe then it does Inception and despite their complaining I like this new poster. I will say I am a little curious how destructive "The Dark Knight Rises" will be considering this poster eludes to the fall or crumbling of Gotham. Also if you tie into what Commissioner Gordon is saying from the hospital bed in the teaser, it could very well be that Gotham is in dire need of Batman again. Technically, The Dark Knight Rises is a thick leatherbound volume with gilded pages, though flipping through it yields a story about a big bad bald man doing evil things until a vigilante with pointy ears comes to the rescue.